Is This Phone App Effective Birth Control? The FDA Thinks So. Tech & Science There are countless phone applications that promise to help women keep track of their fertility to prevent pregnancy, but the reliability of these programs is questionable. That could change, though, as the U.S. Food and Drug Administration announced on Friday that a phone application can be used as an effective form of contraception. 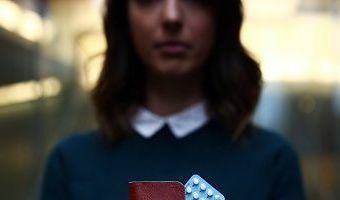 The agency approved marketing of the application Natural Cycles that works to prevent pregnancy using an algorithm that calculates the days of the month a woman is likely to be fertile. “Consumers are increasingly using digital health technologies to inform their everyday health decisions, and this new app can provide an effective method of contraception if it’s used carefully and correctly,” Dr. Terri Cornelison, assistant director for the health of women in the FDA’s Center for Devices and Radiological Health, said in a statement. “But women should know that no form of … [Read more...] about Is This Phone App Effective Birth Control? The FDA Thinks So.